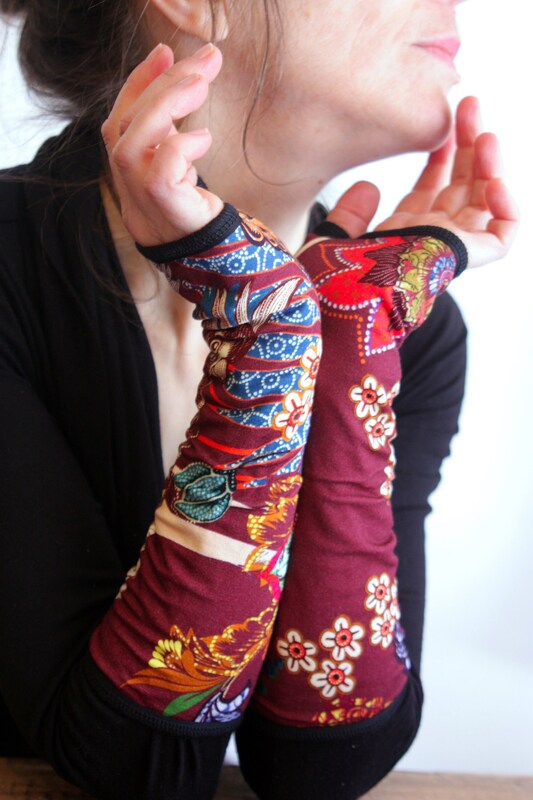 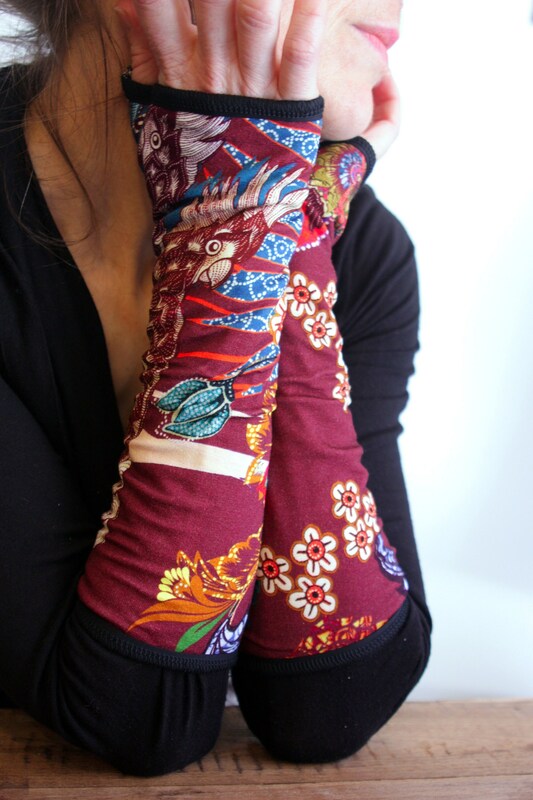 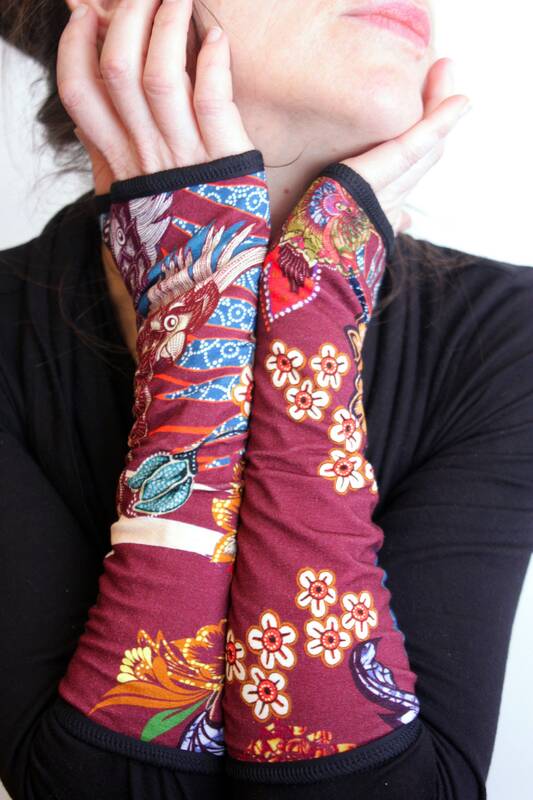 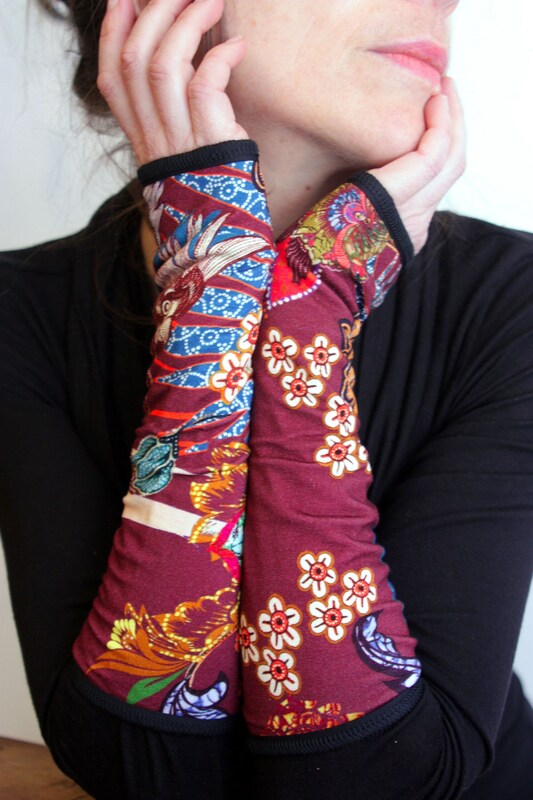 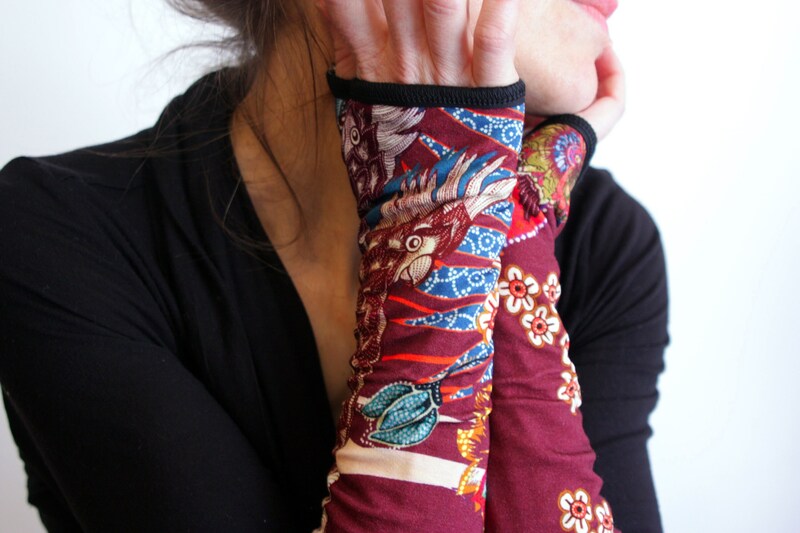 Mitten long Burgundy and blue flowers and patterns Parakeet, that will accompany your winter outfits, they are 100% cotton Jersey. 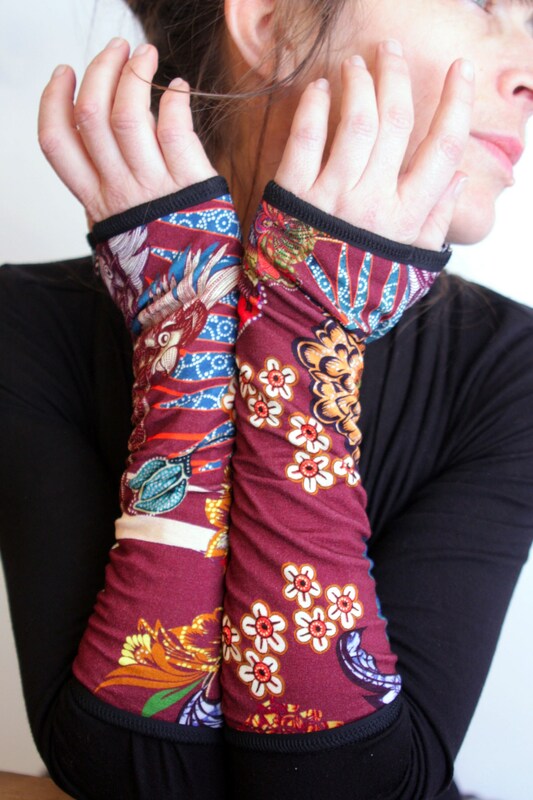 We choose to double our mittens for a better, warmer and with a good accessory in time. 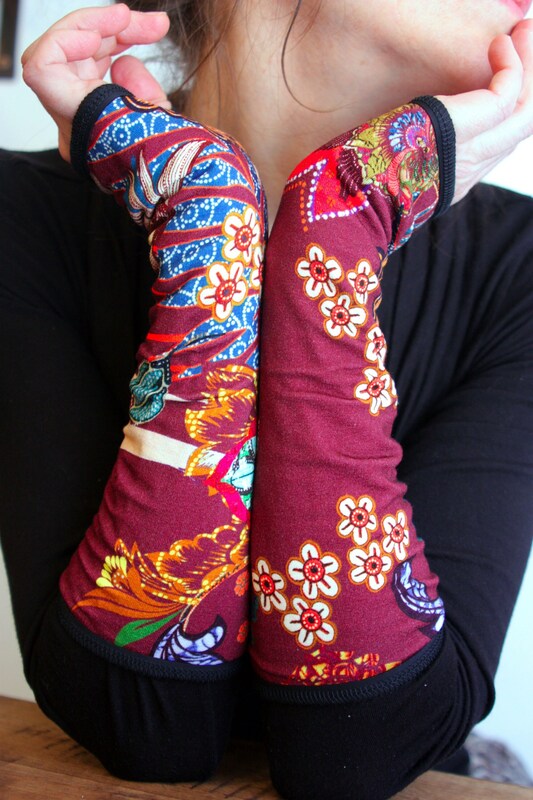 Length glove short 14 cm (cuff version) available on request in customization.